The operating system, or its logo, are suddenly everywhere. Open source isn't just a license or a coding methodology, to many it's a religion. And the central prayer of that religion is an ode to Linux. In the spirit of such love, Linux has begun to sprout up everywhere. Here's a compilation of some of the more surprising places you'll find this beloved operating system. Mavizen's TTX02 is billed as the first electronic racing motorcycle with an onboard-computer, USB ports and an IP address. This lets the crew tune the bike over a WLAN. It can hit speeds of 130 mph and it's all powered by a Linux system, according to LinuxPro Magazine . This commercial coffee maker was on display at Embedded World in Nurmberg, Germany. It runs on Linux and was built with the Qt framework. It's not available for consumers, but a few years ago a Linux lover published instructions for building your own Linux coffee pot . We say cheers to Penguin-inspired Java. Linux has gone postal. 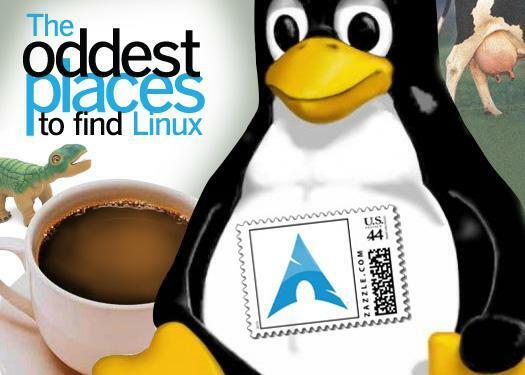 For the past decade, the US Postal Service has relied on a mail sorting system that uses LinuxOS at its heart. And if you really want to show the Linux love, you can also decorate your mail by using custom Linux-themed stamps from Zazzle.com . Next time you're stopped at a red light take a moment to think geek … or rather Peek. Peek Traffic makes a series of Linux-based traffic lights that keeps traffic flowing in places like Iowa, New York and on the 101 in L.A.
Isamu is credited with being the first humanoid Robot to run on Linux, making the rounds in about 2001. 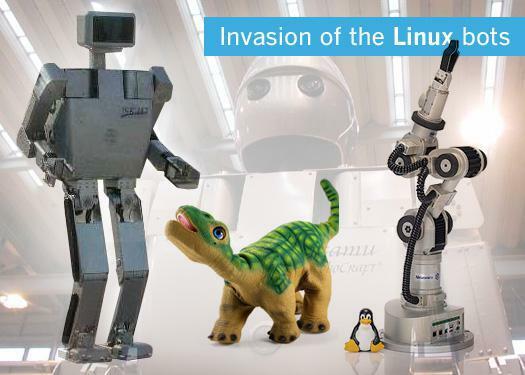 But since then, Linux has become a popular basis for all kinds of robots including Pleo , an animatronic dinosaur toy and the Katana Robotic Arm for industrial applications built by Neuronics . Can you think of anything more warm or fuzzy than a Linux doggie T-shirt? We couldn't either. Aw, that's cute.